Online Montessori Conference For Parents, Teachers, And School Leaders! Thank you for visiting. This event is no over! Join Online Summit for Montessori Homeschooling families! It is a great opportunity to hear a fresh perspective from passionate Montessori professionals who have exceptional knowledge and experience in the field. Honestly, the more I read about this conference, the more excited I get in anticipation to soak every word. Whether you would like to start your own Montessori school, would like professional advice on how to choose a Montessori school that is right for your child, or learn how to become an effective Montessori leader, this conference is a golden opportunity to gain a wealth of knowledge without leaving the comfort of your home. You can sign up for a particular course or attend the whole summit. Either way, you will be enriched and equipped with the necessary knowledge to tackle everyday issues you may face in an attempt to build your teaching or parenting on the base of the Montessori Method. Teacher to Trailblazer – for an experienced Montessori teacher interested in starting your own small school. If you decide to grab this amazing opportunity and make the most of if by watching the whole summit, you get discounted price PLUS access to bonus gifts – valued at $50. I’m looking forward to attend every course and I believe it will make me a better teacher to my homeschooled kids and a better-equipped parent. I hope I made this Summer Summit sound impossible to miss because it simply is. Congratulations! A Big THANK YOU to Seemi for sponsoring this giveaway! Each winner will receive All Access Pass (a $69 value) to Online Montessori Conference and access to all the tracks along with bonus gifts with tons of amazing educational materials (a $50 value). Leave a blog comment below by July, 17, 2016, 12pm (Australian Central Time). Tell us why you would like to win All Pass Access. Visit Trillium Montessori and subscribe to their newsletter to access latest activities and tips, and receive FREE access to exclusive subscriber-only printables. One entry per person. Please, as you leave your comment, provide your best email address for us to contact you to notify you if you have won. The number of each winner will be randomly chosen by my daughter. The giveaway is open worldwide. Only persons over the age of 18 are eligible for entry to the giveaway. The winner will be published on montessorinature.com and notified via email, and will have 24 hours to respond and claim the prize. Trillium Montessori will deliver the prize. If the winners have already enrolled into the conference, they will be given a full refund from Trillium Montessori. I’d love to win because I am traditional teacher who wants to learn more for my own practice, and my son attends a local Montessori school so I want to know how to support him! I would love to win to have some Montessori specific professional development over the summer. Hi, I would love to win an access to this conference as I homeschool my three children in the Montessori way. I would love to learn more about it, to deepen my understanding of its underlying philosophy and be a better mum/educator for my kids. I would love an opportunity to participate in this event. We are eclectic homeschoolers with heavy leanings toward Montessori methods and this would be a great opportunity to learn more about ways to integrate those principles into our school days. I would absolutely love to be able to win this pass to the conference! I live in a rural area of Hawaii and our availability to conferences and PD is especially limited. Also it costs an arm and a leg to get anywhere from here to attend conferences elsewhere. I have been a Montessori teacher for many years s d now also a parent to a 2 year old so I know I could make use of a lot of the information. I would love to win because I would love to learn more about the Motessori method, and how to Apply it at home , and possibly for homeschool . Thanks! I would love to win! I follow Trillium Montessori for years. I’m a Montessori teacher but I have just left my job to be around my children, hence the money is tight but I still want to learn more and more about Montessori and use my knowledge with my children. Thanks for this give away! This is my first year as a Montessori Directress and I have been spending a lot of time and effort on the internet looking for some nice stuff for my classroom when I chanced upon Trillium. I have subscribed to the newsletter and look forward to any new mails. I am really interested in this summit as I feel its going to be very very informative for newcomers like me, and also I found it a very impressive concept…a one stop shop for everything Montessori for everyone…be it a teacher or a parent. I would like to congratulate and thank Seemi for this wonderful initiative. Hoping to enrich my knowledge, save and invest time in quality things. Would love to win! I have read ‘s few of Maria’s books, but I would love to have more updated information. I can’t enroll my 2 year old in a school yet, but it will be montessori once I do. I hope I win! I have been a admirer of Trillium and the efforts there to share and educate teachers. I have made use of freebies and purchased wonderful materials. If I were to win, I would be able ask one of my assistants to also learn from the summit. I am starting my 2nd year as lead teacher and while I am proud of our progress, I know we want to strive to be better! I would be honored to win a pass to this conference, since I see it as a great opportunity to learn more about the Montessori method and how to apply it at home. I live in a small town and have no access to a Montessori school, so I am planning on homeschooling my children with the Montessori method. Thanks for making it possible for people everywhere and of all backgrounds to access this valuable information. I know that I can learn the plenty of the thing from you and I would want to be involved in this course very much. I hope that my dream of the self-development will come true. Hello, I’d like to start by saying that this is a great program and I truly believe that it’s best for teaching a young student. I’ve Been using this program for two years and it has changed my life I have learned so much for my students and also for my young kids if I win this giveaway I will be forever grateful for the opportunity that it will give me. I’d love to win a pass to the summit. I’m not qualified yet an it is so expensive but I try and read as much as possible and learn as much as possible about Montessori. I’m in South Africa and the exchange rate is horrendous right now. I´d love to win the pass to the summit so I can invest the money that I´d spend in Montessori´s books and materials so I can start using it with my lovely daughter Helena. Thank you for the opportunity! I am a Montessori toddler guide, and in grad school now for my Master’s of Montessori Education from Xavier University. Being that I am in school, money is tight so I’d love to win an all access pass! I have been a follower on you and Seemi for awhile now! This would be amazing. I homeschool 6 of my 8 children and try to incorporate Montessori principles. I’m homeschooling my daughter who is highly sensitive and I hope to have the opportunity to learn more from the experts in honing my skills on observation and application of the montessori method in our montessori environment as well as in our co operative sessions. I would love to win this giveaway! I’m a mom of four and Montessori enthusiast. While my kids go to a regular school, we’ve been using Montessori in our home for years. Something like this would be a big help and support for me. Thanks for this opportunity! 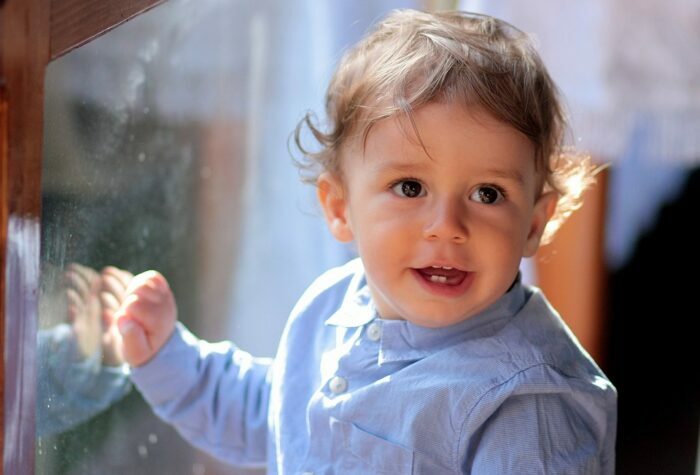 I would like to win because as a new school owner of the first Montessori school/nursery in my country (Malta) this would provide me with some much needed training to help support not only my staff and parents but also to develop myself as a teacher. Hi,it would be amazing to win this opportunity to learn from montessori experts. I have two boys;the older goes to traditional school because here no montessori school exists;and i believe he deserve better. I’ve had my eye on this conference! It looks great but no work in the summer means no income and no extra funds. It would be amazing to win this give away so that I could share information I learn with the parents in our school as well as my colleagues! I would love to win this because I am working on opening my own private small Montessori preschool. I am registered already so, If i win, I could use the money that I save on buying some more Montessori materials. My family is beginning our homeschool journey this fall and this would help prepare us immensely ! Our children have been in a Montessori for the last 4 years and we would love to have a smooth transition to homeschool! I have a daughter with, shall we say, a very rich inner life. She will be five this August and I have been looking at Montessori for her. I taught public school for years and think that this is the way children should learn. I want to help her at home as well as look into a future for myself in Montessori education. This would be brilliant to enhance the provision in our childminding setting. I would love to win an all access pass to this conference. I am homeschooling my twin 5 year olds, as well as my 3 year old and baby. I try to implement Montessori methods whenever possible, and I would love to know more! As a Montessori mom and teacher, I’d love an all access pass to the conference. I’ve had the pleasure of having Seemi as a teacher and my field consultant. She’s excellent and I know she has put together a great conference. I’d like to win tge access to the conference because it’s a great opportunity to gain a new perspective for different topics that I’m very interested in. My name is Julie, originally from Latvia, but now living with my husband in London. I have a degree in education (dance and rhythm teacher) and all my life was teaching dance to children and their parents. Soon we will become parents ourselves and I`m seriously considering to develop my career as a primary teacher and inspire my child/ren with Montessori system. As I was always surrounded by teachers, I heard about Montessori and always had particular interest in it, even tried to use some methods in dance teaching approach. While expecting my baby, I read some available literature about Montessori. Lucky enough, I could use both available languages Russian and English to understand more about Montessori methodology. I really feel that I have more questions rather than answers now and I will benefit much more from online approach and audio lectures rather than reading as I can listen to them even while having a walk with my newborn. In UK there are many schools who desire to have Montessori teacher and I`m seriously considering to become professional teaching career, but before applying for professional course I would love to understand the essence of the methodology. That is why this giveaway is a great opportunity for me. Unfortunately, now I will be unable to pay for the course, that is why I subscribed for free Montessori material to collect and to participate in this particular giveaway. Hello! Thank you for putting this great summit together, it seems to have a ton of clear, valuable information! I admire the montessori philosophy and would like to validate as well as incorporate what we are currently enforcing at home with my 3 year old and 9 month old baby. 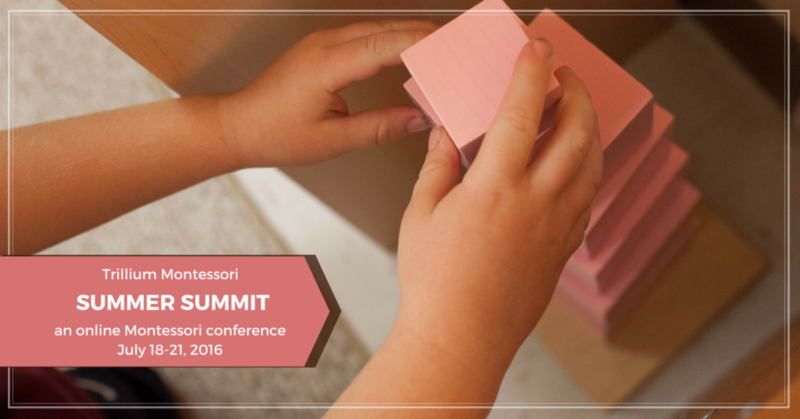 I would like to win because I would love to attend the summit and understand Montessori from all 3 points of views! Thanks again! I am a Kindergarten teacher in a traditional school. I am happy to say that we are attempting to make Kindergarten a playful, child-centered place, with age appropriate activities that help them ignite their creativity and their desire for exploration. This online conference will be very helpful to me. I would really appreciate tonwin this. Thanks! Hello! I would love to win because I have only a short experience as a Montessori teacher, besides being a mom to a two year old, and I realize I have so much still to learn (I guess a lifetime won’t be enough to be honest…). I have two young sons that I will most likely home school since we live outside our home country. I am learning about how to do Montessori and this would be a great resource. I based my philosophy paper on the value of Montessori resources in the classroom. As an RECE I have been tooking into taking the additional training to become a Montessori Pre-School teacher. I have been soaking up all the information available online, and would love to win a pass to this conference. I am currently on leave caring for my mother, and am taking online courses over the summer. I would love to win this access pass because I am a trained Montessori teacher with no school to teach in. I do however work in the public sector as a substitute and am self employed part time. I want to incorporate as much Montessori into what I do. I believe that any training and conversation I can be involved in is good. I can not get to the conferences in person. This online idea is wonderful for people like me who have limited funds and ability to get to the big ones. I look forward to hearing all the speakers. If I don’t win I won’t be able to attend as I have been unemployed for the past two years due to a medical condition. But if I don’t win I’ll be OK with that. Lots of reading to do in the area of child development and Montessori practice. We are a Montessori-inspired family. This year my children are making the transition from a very lovely Montessori program to homeschooling Montessori-style and we could certainly use all possible resources! Hello, I am entering on behalf of Nobles’ Montessori in Accra, Ghana. Our mission is to instill a lifetime love of learning and build a noble character in an environment which allows the child to blossom using the Montessori philosophy. We will be excited to be part of this conference since we do not have access to conferences like this. This conference will boost our efforts to bring the magic of Montessori education to our community. I would love to winnthe access pass. I started a new 3-6 years room in January. Im trying to get as many resources and information as i can to ensure im doing the best for my class. I would appreciate winning to improve my skill set as a Montessori Guide. I have taught Montessori at the Pre -primary level for 37 years at Brookfield Academy in West Bloomfield and Troy , MI. I love what I do and am always interested in new ideas which will keep me excited about teaching and also keep the children engaged and excited about learning. I do feel you can “teach an old dog new tricks” and always enjoy searching the internet for ideas and attending local and national Montessori conferences. My favorite has to be the one several years ago where Dr. Jane Goodall was a keynote speaker at the AMS Conference in Washington D.C. and following the presentation I had the opportunity to meet her. I LOVE the Moveable Alphabet and am looking for new ideas in this upcoming seminar. I am also very excited for the Music portion because even though I can’t sing, I do sing with the children and love incorporating music and poetry in all areas of the curriculum. I feel if I had access to the whole seminar I would be able to use information in communicating with parents and administration at our school. Whether or not I win that opportunity, I am looking forward to Monday and the Moveable Alphabet portion of the Teacher’s Track. As a fan of Trillium Montessori I’d love to win the Access Pass to get more ideas and inspiration to share with my class. I thank everyone involved in sharing the Montessori ideals around the internet. It is really valuable the work you do! I would love to win an all access pass to the conference. It would allow me to learn a lot more about the Montessori method and how to apply it better at home. I am a mom of three that tries to incorporate as much Montessori at home as I can. I currently homeschool preschool using this method, try to extend its principles into our daily living and have a child in a local montessori elementary school. The more we know the better teachers we become. Money is always a struggle when you work at a preschool, I am always looking for ways to learn more about The Montessori Philosophy. I would love to participate in these trainings, but money is tight these days. I would like to win because I homeschool my two sons and I want to learn more about Montessori method.